To get beyond nothingness, Lapid has at the very least to declare that he opposes settlement building outside the blocks that Israel wants to incorporate through land swaps in any peace deal. He should set this as a coalition deal breaker. He must insist that the continued undermining of the Palestinian Authority — through soldier or settler violence, military intrusions into Palestinian-run areas, scattered settlement expansion — benefit only Hamas. Otherwise the peace talks Lapid says he wants are the talks Netanyahu has wanted: the kind that go nowhere. Lapid “must?” Given that there’s been little or no settlement building outside of the blocs Israel is likely to keep, how does he differ from the current government? But then Abbas insists that there not even be building within those blocs. Today I saw that Hamas withdrew from unity talks with Fatah. Abbas refuses to negotiate with Netanyahu but can talk with an unreformed terrorist organization. How is it that it that it is Israel and Netanyahu that somehow is failing to move the peace process forward? The sad truth is that there is more honest discussion about American-Israeli policy in Israel than in this country. Too often in the United States, supporting Israel has come to mean meeting narrow ideological litmus tests. J Street, a liberal pro-Israel group that was formed as a counterpoint to conservative groups like the American Israel Public Affairs Committee, has argued for vibrant debate and said “criticism of Israeli policy does not threaten the health of the state of Israel.” In fact, it is essential. Oh please. I’ve been following the New York Times opinion pages for over a year and half now and there is plenty of debate about Israel. Well actually, some months there is no debate where there are absolutely no articles that could be construed as pro-Israel. And yes, there’s plenty of debate in the United States. But the BDS movement is beyond the pale; something that a more intellectually honest paper in New York recently recognized. The problem is that the New York Times can’t distinguish between criticism and condemnation and can’t distinguish bias from debate. In fact, the regime may feel that time is on its side. American and Israeli red lines for military action depend on the pace of Iran’s nuclear activities, meaning that Iran can delay conflict simply by slowing those activities, as it recently has done. Meanwhile, Iran’s leaders may be hoping that black-market workarounds and a pickup in global oil demand will allow their country to expand its exports. Singh’s op-ed isn’t mostly about Israel. However he makes the point that Israel’s and America’s interests regarding Iran are – or ought to be – the same. Given the prevalence of op-eds and editorials that insist that PM Netanyahu is a hysterical war monger who is advocating a war that will be to American’s detriment, this reasonably argued op-ed a welcome antidote. Israel’s record of pursuing crimes by its own army and the settlers is, in fact, dismal. For example, last year, of 240 allegations of I.D.F. soldiers abusing Palestinians, there were 78 probes and zero indictments. Allegations do not equal convictions. I have no idea if his figures are even correct. But this is typical for Shehadeh. He makes a charge and then extrapolates, whether or not he has any evidence. There is absolutely no editorial oversight for Shehadeh. On the other, the Iranian regime continued to believe that its lifelong rivalry with the United States is the result of flatly irreconcilable differences: what it sees as Washington’s unshakable opposition to the Iranian revolution, unqualified and limitless support for Israel, and insistence on competing with Iran for influence over the Middle East. An article written from the point of view of the Iranian regime. This is the norm, not Michael Singh’s op-ed. Among the cultural institutions a boycott might target are those Israeli universities that are judged to be either actively in league with the government’s policies toward the Palestinians, or complicit with those policies by virtue of remaining silent while they are being implemented. To the charge that a boycott of academic institutions is a violation of academic freedom, B.D.S. supporters reply that because the state of Israel abrogates the academic freedom of Palestinian professors and students (by denying them funding, access and mobility), it is an affirmation, not a derogation, of academic freedom to refrain from engaging in intellectual commerce with Israeli universities. You can’t invoke academic freedom, they say, when you’re denying it to others. So the lines of battle are set with both sides claiming to be academic freedom’s champion, and it is easy to see why a college might be thought to be an appropriate venue for a discussion of the matter. These are welcome reactions. Not only is Beitar waging a battle against its bad image, but many Israelis seem determined to no longer turn a complacent ear to what they once dismissed as the predictable racist clamor of rowdy sports fans. At last, Israel — itself a country built by refugees fleeing discrimination — is banning, investigating and legislating against racism in sports. The hiring of two Muslims to play for Beitar Jerusalem was controversial among its fans. Rosner took a controversy and found something positive about Israeli society from it. This is not the standard operating procedure at the New York Times. The Oslo Accords list Sebastia among the archeological sites of importance to Israel, yet Israel is not taking care of the place, arguably one of the most important set of ruins in the West Bank. Nor is it allowing the Palestinian Authority to do so. And even though USAID-supported renovation work is taking place in the village, supposedly to improve the ailing Palestinian economy by encouraging tourism in the West Bank, the international community has done nothing to oppose Israeli actions that impede tourism (and are contrary to international law). I know nothing about Sebastia, but my instincts tell me that Shehadeh is not telling the whole story. I’m assuming he wrote to counteract the news of Israel’s Herod exhibit. In general Israel’s Antiquities Authority is pretty good about preserving archeological sites. If the Temple Mount is any indication, the Palestinian Authority is not at all good at preserving the past. “People say Netanyahu remains in power for the sake of power,” Shlomo Avineri, a prominent Israeli political scientist, told me. “I don’t agree. He has a core agenda. He is not going to give up one inch of Eretz Israel. He stays in power for that. The speech about two states was a tactic that gained three years of peace and quiet. He said it and did nothing about it.” Eretz Israel is a biblical term widely used to refer to the area between the Mediterranean Sea and the Jordan River, encompassing all of the West Bank. In explaining the plight of the Palestinian Prime Minister who has no constituency among his own people. Cohen interviews Avineri. I’m very disappointed in the latter. If Netanayhu is about not giving up an inch of Eretz Israel, how is that he withdrew Israel from most of Hebron in 1997? Mr. Graham was followed by Senator James Inhofe, who said he was going to block Mr. Hagel until he proved that he supports Israel. Since Mr. Hagel, like every other member of Congress I can think of, actually supports Israel, I don’t know what he can do to satisfy Mr. Inhofe besides swear unquestioning fealty to Prime Minister Netanyahu’s settlement policies and his saber rattling on Iran. A number of op-eds have had similar language and I haven’t included them, because they weren’t substantially about Israel. “[U]nquestioning fealty to … Netanyahu?” This is ugly. In late 1990, Rosenthal’s father blasted Pat Buchanan for comparable language. But such usage doesn’t bother the younger Rosenthal. International interest in the exhibition has predictably focused on the boring issue of whether Herodium, which is in the West Bank, belongs to Israel or to the Palestinians. A much more interesting question is how Herod went from being a villain to a hero in the Israeli imagination. Herod was viewed ambiguously in the Talmud. Overall Rosner’s purpose it to dismiss the “international interest” in the exhibit and focus on the Israeli view. Opening Gaza’s border with Egypt could be part of that solution, but Israel would also have to allow trade between the Palestinian territories that are now separated. Then, the tunnels that fulfill much of Gaza’s basic humanitarian and consumer needs would no longer be necessary. And Egypt could focus on stemming weapons smuggling, as the international community demands of it, while securing its eastern border. The article is written from the point of view of Gaza, though, not explicitly that of Hamas. The author avoids inflammatory language when writing about Israel. I’ll rank this one neutral. Fish writes that his support of the BDS event doesn’t necessarily indicate his support of a boycott of Israel. This is disingenuous. First of all he cited the arguments of BDS without disqualifying them. Second of all here he only demands an apology if it turns out that students’ free speech rights were denied. This is also dishonest. If they were thrown out for because they “looked Jewish” then the pretense that the event was about academic freedom is a sham. Furthermore, Fish didn’t even seem to bother to consider the evidence himself. In the Palestinian view, one shouldn’t have to negotiate a peace with the burglar who has stolen your possessions. In the Israeli view, one shouldn’t be expected to negotiate a property boundary with a neighbor committed to destroying you. It is implausible to expect the parties to engage in bargaining involving an exchange of interests when they start from such fundamentally different points of view. There’s something comforting about the evenhandedness here. On the other hand Weiner equates the Palestinian grievance based on a misreading of international law and magnified by relentless propaganda with Israel’s experience that concessions have led to terror more than to peace. I said Israel’s situation is sustainable. It is in physical terms. It is not in ethical terms. This is a state whose Declaration of Independence in 1948 says it will “be founded on the principles of freedom, justice and peace in the spirit of the visions of the Prophets of Israel; will implement equality of complete social and national rights for all her citizens without distinction between religion, race and gender; will promise freedom of religion, conscience, language, education and culture.” The West Bank dominion over 2.6 million humiliated Palestinians runs counter to every word of this. 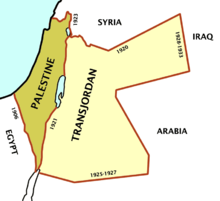 Israel does not have “dominion” over 2.6 million Palestinians and hasn’t since late 1995. Cohen poses as a liberal Zionist, but even as he criticizes the Palestinians for demanding a right of return, he doesn’t see that it is the Palestinians who refuse to come to terms with Israel. Whatever his ideology, Cohen is, most of all, ignorant. Note about methodology: I searched the New York Times archives for all opinion articles mentioning “Israel” that appeared on the website between February 1, 2013 and February 28, 2013. I surveyed those articles that were substantially about Israel and determined if an article was favorable towards Israel or not. David, I’m surprised there were even 3 pro-Israel op eds in the paper that epitomizes “liberal self loathing” over support for the only long term democracy in the Middle East region. Even the op-eds you score as “Pro-Israel” are half-hearted or reluctant admissions that Israel is doing something positive. I suppose given the amount6 of anti-semetism abounding in Britain and parts of Europe, we should be grateful for any positive portrayals of Israel from the media in general. Two of them are by Shmuel Rosner. This really is in line with what I’m used to (I’ve been doing this for a bit more than a year and a half.) The usual ratio 3 or 4 to 1. So this is within the usual range. Is there also a tally of NYT Pro-Islam propaganda articles? What about pro/anti-Israel editorials according to dates from 1967 to now. But still the Greedy A$$es Arabs weren’t satisfied. Their goal was then and still is NO Jewish homeland and no Jews as written in the charter of Hamas and Koran. What does it mean to be anti- or pro-Israel? The antis seem determined to cast Isreal in the worst light, the pros the opposite. This debate should have no bearing on America’s foreign policy, whether toward Israel or any other country. U.S. foreign policy should be driven by what is in the interests of the U.S., not by sentiment or sympathy or antipathy for one Middle East population or another. PlainTalk, the commenting on Israel connected Op-Ed pieces doesn’t inform American Foreign Policy. But it is a general indicator of sentiments towards the State of Israel, it’s right to exist, and how the Jewish population is view by the world at large. As for US Foreign policy concerning Israel, it has been the longest (not withstanding the recent democratization of Iraq) existing democracy in the Middle East. Which, considering it hasn’t been around before 65 years, means not many democracies have ever existed in that region. US policy *OUGHT* to support freedom of expression, governance, and economics in the region, and Israel supports those ideas. Also, our founding fathers attached religious significance to Israel, and we have historical cultural ties through the Judeo-Christian (Western Civilization) ethic. That’s why US Policy is interested in Israel. How did the Founding Fathers attach religious significance to Israel if it did not exist till 1948.? Elsewhere this is just NY centric view of everything .A small percentage of the world ‘s Jewish persons live in NY . A small percentage of the world’s non Jewish live iN NY. 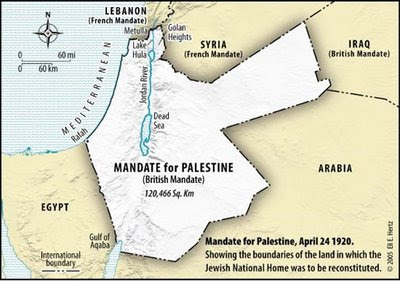 Israel as a political conception was around long before the 1948 founding of the national State of Israel. The Diaspora occurred during Biblical times, the 1948 re-instatement of the national State was so that Jewish people from around the world could be reunited in a land they could call their own. I know that much about said history , but where is the specifics from the Founding Fathers ? The early history of the church in America is not a singular one . I think the FF might have had differing views & if they did not then they were ignoring the many Americans eg the Indians who had no idea about Jewish or Israel. I also think pioneers had bigger things to worry about .like catching matching squirrels for a good looking hat. Things change eg In God We Trust only went oompapalooza in the 1950s. Again why would they be so big on the Homeland for Jewish if they were happy to take Indian’s lands & keep slaves? To a young person today that would not be logical. Stories alone won’t work anymore.